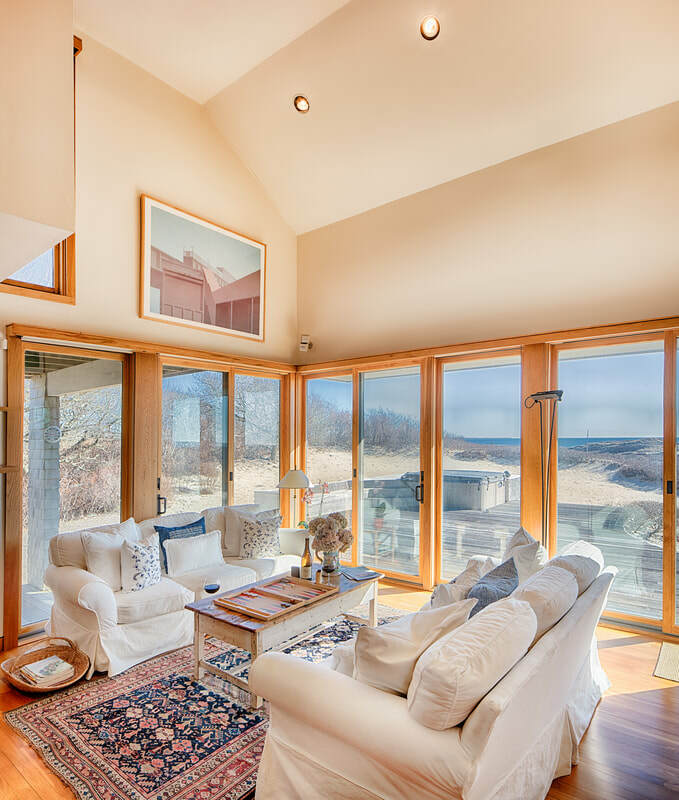 The first floor of the main house features an open floor plan with a vaulted ceiling that allows a balconied loft to enjoy the same South Shore vista as the space below. Sliders allow access to the large L-shaped wooden deck from both the living and dining rooms. A wood burning fireplace makes the living room a delight on chilly evenings. This easygoing blend of style and function is tailored for indoor-outdoor living and takes advantage of the wonderful view. 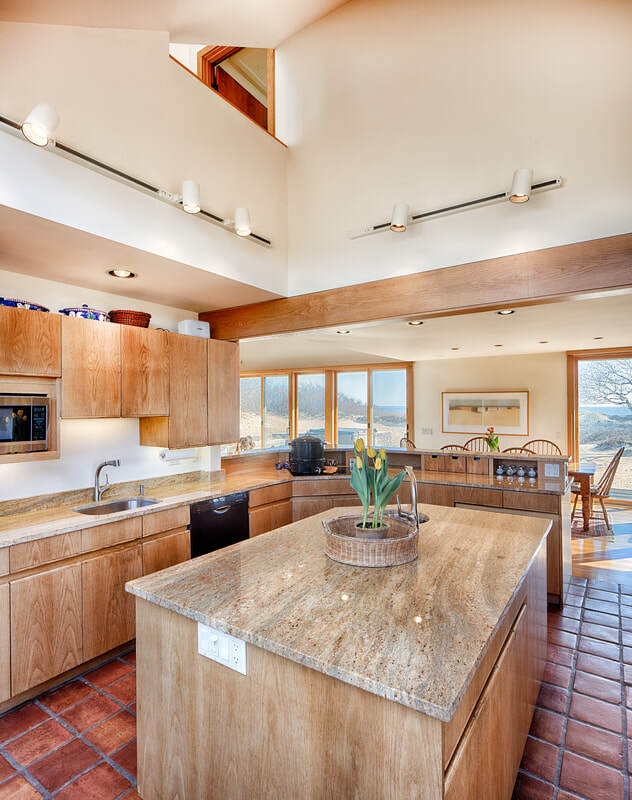 The tile-floored kitchen with granite countertops, two sinks and spacious center island is bathed in light from a wall of solarium windows. 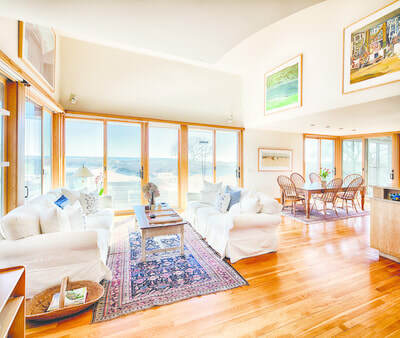 The room is open to the home’s other social areas. 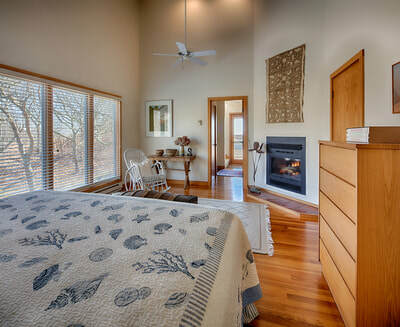 The master bedroom also enjoys a corner wood burning fireplace and en suite bath. A separate laundry room and half bath are adjacent. 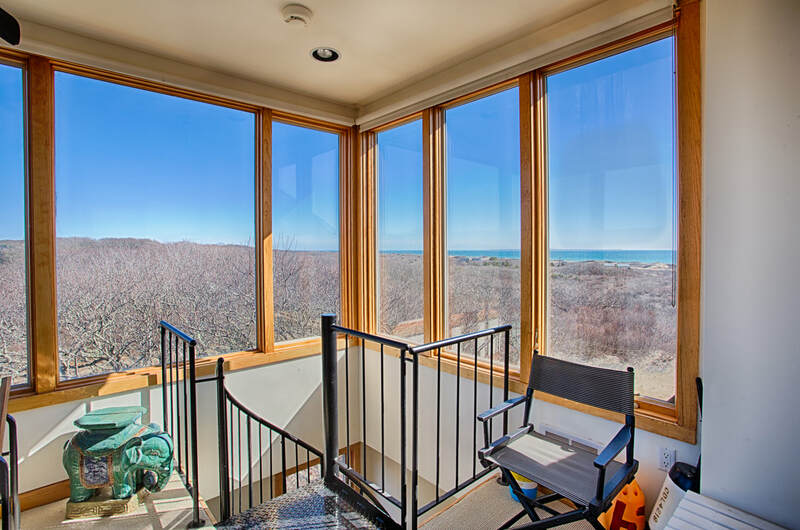 Besides the sitting room loft, the second floor includes a bedroom and bathroom as well as a sheltered roof deck with far-reaching views of dunes and water. 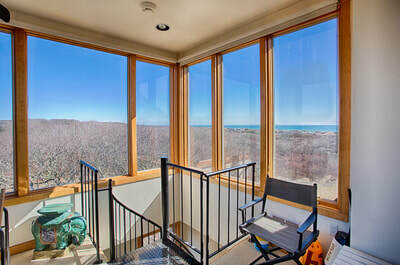 A spiral staircase leads to a third floor tower with panoramic views of the beach, lighthouse and Gay Head Cliffs. A tiled screen porch that welcomes cross breezes connects the main house and guest wing, the perfect private retreat for family and friends. 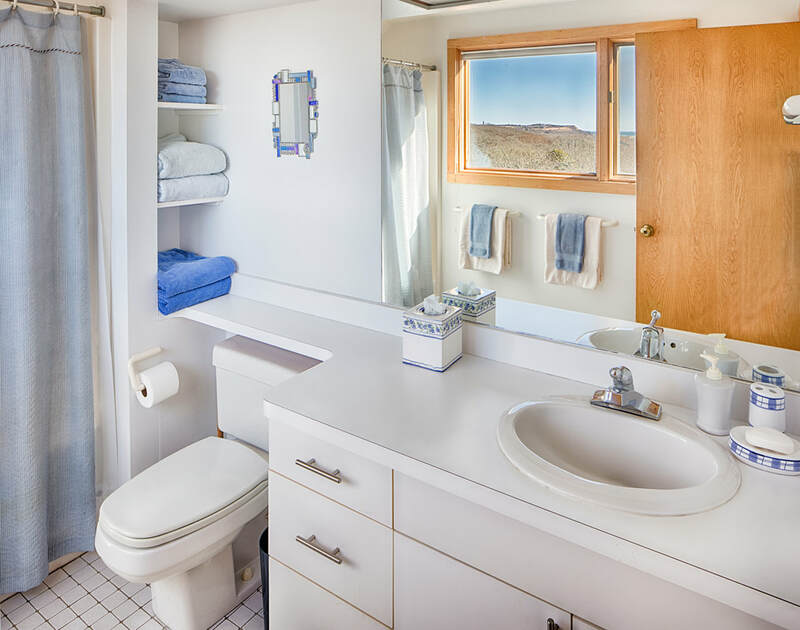 There are two first floor bedrooms that share a bathroom and kitchenette. A child-friendly loft above, reached by a wooden ladder, is a favorite with the owners’ grandchildren. Three acres of spacious grounds include stone walls, a rolling front lawn surrounded by perennial gardens and a rear deck overlooking the ocean with a hot tub and an outdoor shower. 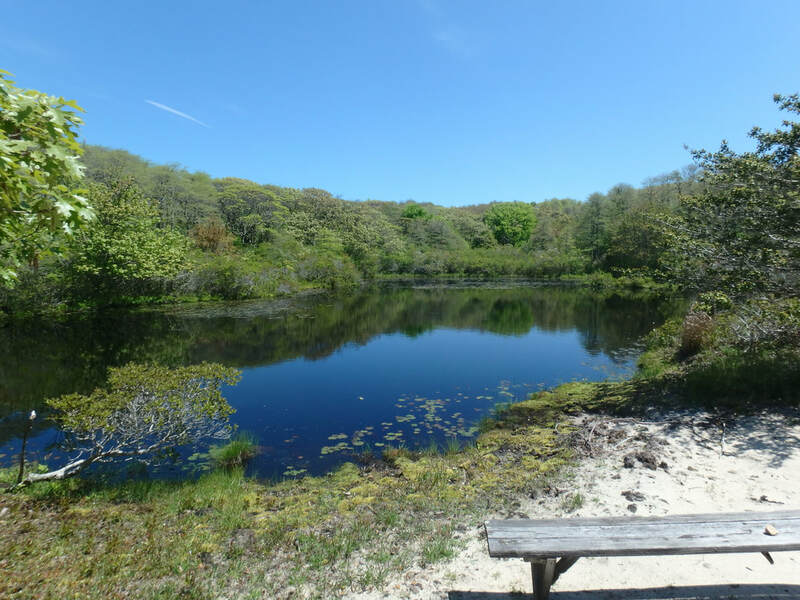 To the side is a small private pond and sandy beach with a bridge and walking trails where the owners’ grandchildren conduct overnight camping trips. This natural setting is the main character of the property. 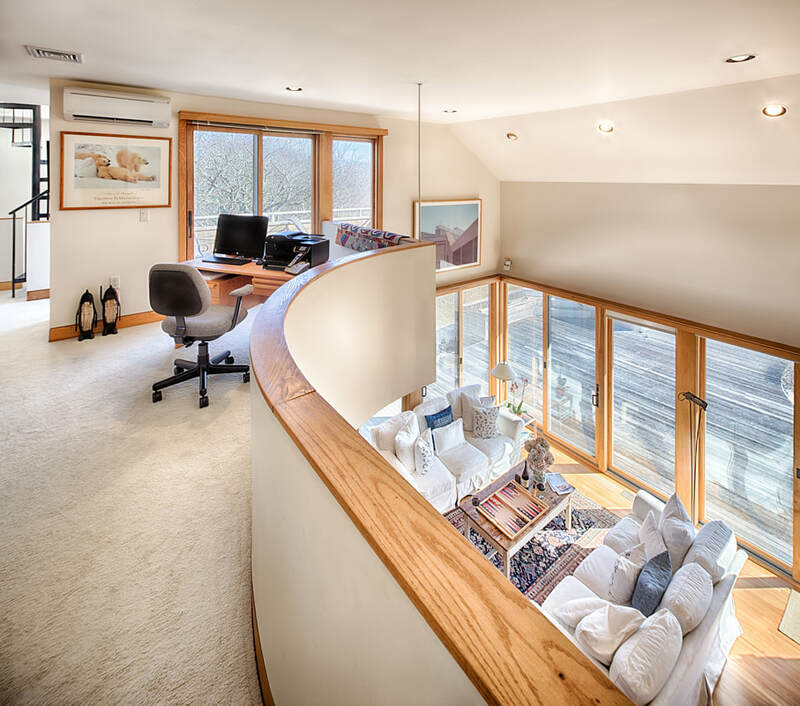 There is a partial basement with new heating and air conditioning systems and a one-car garage.